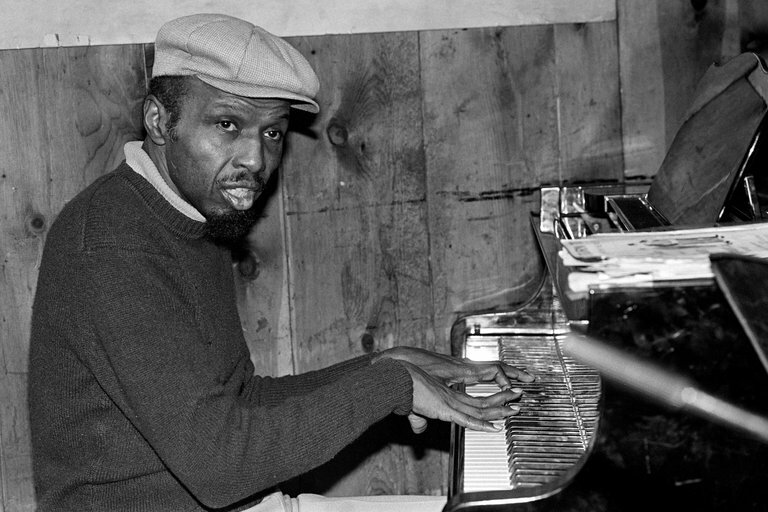 Horace Parlan, an acclaimed jazz pianist whose style was unlike anyone else’s, largely because he had to compensate for a partly disabled hand, died on Feb. 23 in Korsor, Denmark. He was 86. His death, in a nursing home, was announced by the Danish jazz historian Frank Buchmann-Moller. Mr. Parlan had lived in Denmark since 1972. Unable to use the middle two fingers of his right hand, Mr. Parlan still forged a style that impressed critics — Robert Palmer of The New York Times praised his “combination of blues-rooted funk and exploratory zeal” — as well as his fellow musicians. The bassist and composer Charles Mingus gave him his first significant national exposure in the late 1950s; he worked with the saxophonist and flutist Rahsaan Roland Kirk in the mid-1960s; and he had a long and fruitful association with the saxophonist Archie Shepp, beginning in 1977. He also recorded frequently as a leader. He made several albums for Blue Note in the 1960s and for the Danish label SteepleChase in the ’70s and ’80s. Horace Lumont Parlan was born in Pittsburgh on Jan. 19, 1931. His parents, who adopted him when he was a few weeks old, gave him piano lessons as therapy when he was 7, two years after polio left him partly paralyzed on the right side of his body. His teacher was not encouraging, and the lessons did not last long. He gave the piano another try with another teacher when he was 12, and this time he embraced the challenge. Mr. Parlan studied law at the University of Pittsburgh at the urging of his parents. But he abandoned those studies after 18 months to pursue a career in jazz, and by 1952 he was performing regularly in Pittsburgh. Like many other American jazz musicians of his generation, Mr. Parlan eventually moved to Europe, frustrated by what he called “a rise of overt racism” in the United States as well as the shrinking market for jazz there. He became a mainstay of the European jazz scene, working with fellow expatriates like the saxophonist Dexter Gordon, but was largely forgotten in the United States and rarely returned. In 2000, he was the subject of a documentary film, “Horace Parlan by Horace Parlan,” directed by Don McGlynn. Mr. Parlan’s wife, Norma, died a few years ago. No immediate family members survive.